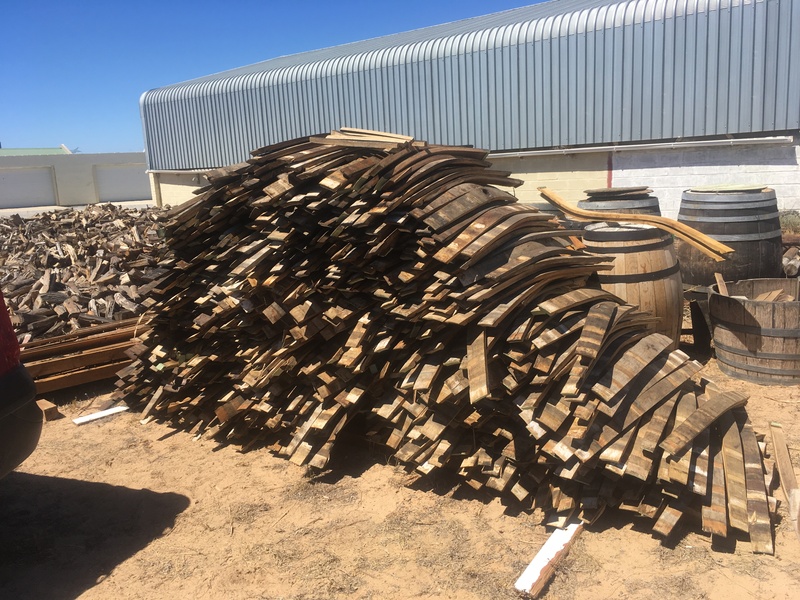 Recently myself and Renaldo Fourie acquired a lot of beautiful old wood. 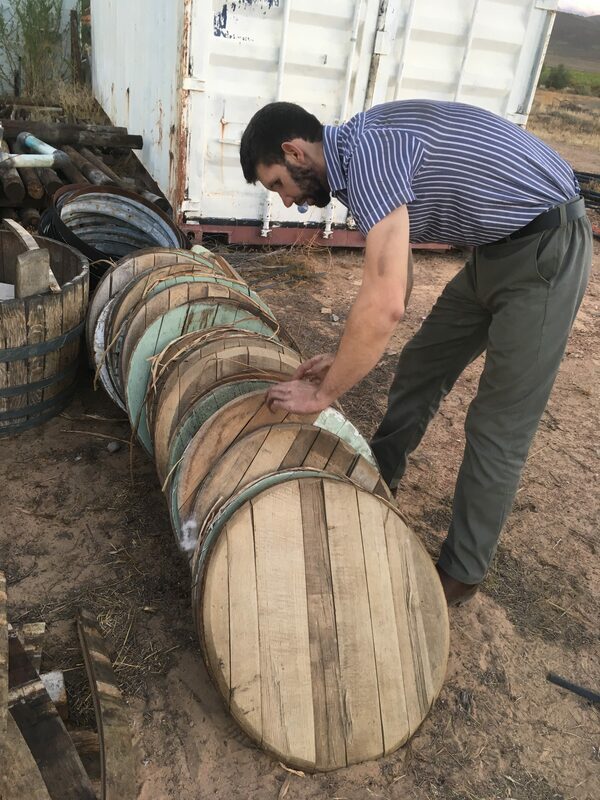 It used to be brandy aging barrels of french oak. 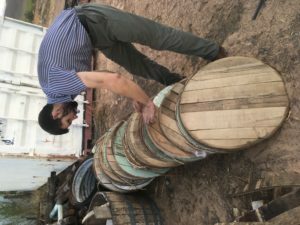 The barrels are not usable as wine or brandy barrels any longer but the wood is still beautiful to work with. We decided to try our hand at furniture making. Renaldo is an old hand at woodwork and comes from a family of woodworkers. We will publish our results as we progress. All our results will be for sale. All furniture will be a once off product. Each one individualistic. 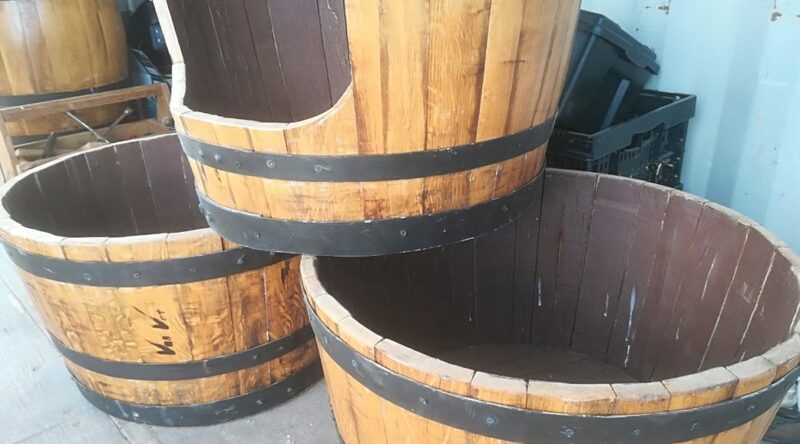 Every piece of oak differ from another. Everone has its own curve, breadth and length. A great part of the joy of woodwork is the smell of it. 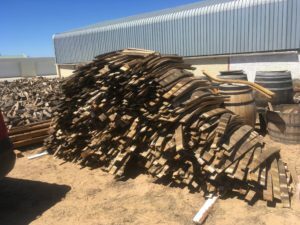 With this wood there is the added aroma of aged brandy. The wood is really old. It is an incredible joy to see the wood coming alive as you strip down the outside layers of old dead wood. As one start with ideas of what is possible to do, more and more ideas seem to fill my mind. So watch this space….